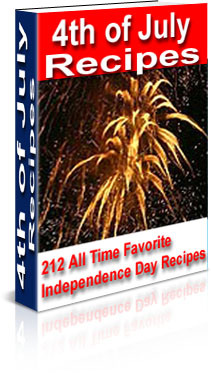 Over 200 Lip-Smacking Independence Day Recipes!" With 4th of July Recipes eBook you will find all the tips and techniques necessary to make your Independence Day Recipes like those of a seasoned professional. Use 4th of July Recipes to make great cookouts to share at your next picnic, backyard party or tailgate party. Never have a boring party again! 4th of July Recipes is delivered in PDF format and is viewable on any computer. All you need is Adobe Reader which is available free and already on most computers.